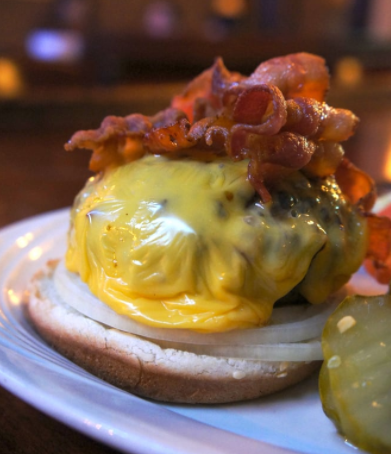 Just In Time For Winter: Astoria's Best Burger Spots! Mmmmm…burgers. Now that we’ve officially hit winter, it’s time to dig into those indulgent foods that make you want to put your eating pants on. For me, burgers are a great place to start! 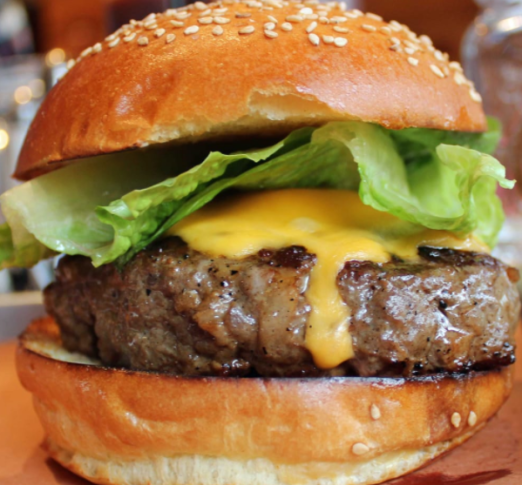 Here are ten of our favorite spots to grab a great burger. Tell us your top choices in the comments and on Facebook! 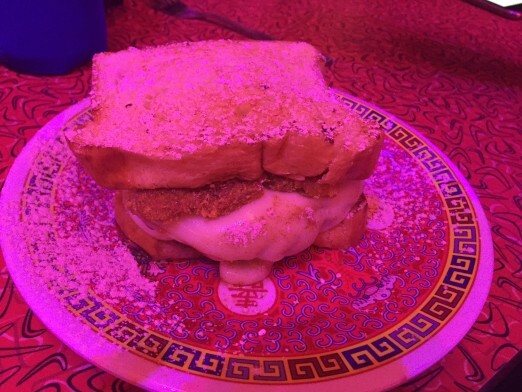 The Manhattan outpost of Corner Bistro is legendary, and for good reason. They’ve been pumping out some of best burgers in the city since 1961, and the prices are still beyond inexpensive by NYC standards. The LIC location is a gem, with a more laid-back and less packed atmosphere. As a bonus, they deliver to LIC Bar down the street, should you be watching some live music and want to add a stellar burger to your evening! Corner Bistro is located at 47-18 Vernon Blvd in Long Island City. Flattopps, the much anticipated sister restaurant to Queens Comfort, debuted earlier this year, and came in like a wrecking ball. Their outrageous burgers, like the Gucci Mane pictured above, are as wacky as you’d expect, but they’re also just plain GOOD. If you’re in the mood for something a little out there, in an always-fun environment, Flattopps is your spot. Flattopps is located at 33-06 Ditmars Blvd in Astoria. One of my favorite things about Sparrow Tavern is that BOTH their regular beef and veggie burgers are excellent. 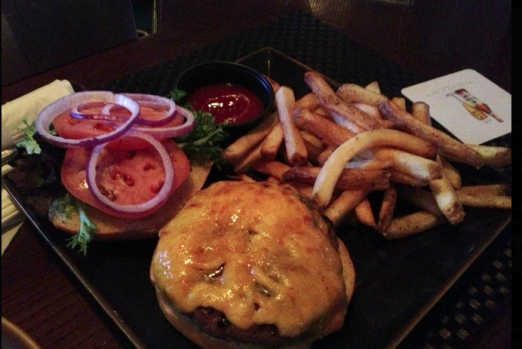 Our writer Meg even wanted to share that their beef burger is HER favorite in the neighborhood. Their veggie version is my favorite meatless patty in the neighborhood, so you know their doing something right in the kitchen. Sparrow Tavern is located at 24-01 29th St. in Astoria. As we’ve said before, Sweet Afton is great for many things: brunches, nighttime cocktails, and casual catch-ups with friends. They’re also serving one of the best burgers in the neighborhood, so when you’re stopping by for any variety of reasons, definitely consider ordering the burger! It’ll pair wonderfully with their stellar beer list. Sweet Afton is located at 30-09 34th St. in Astoria. 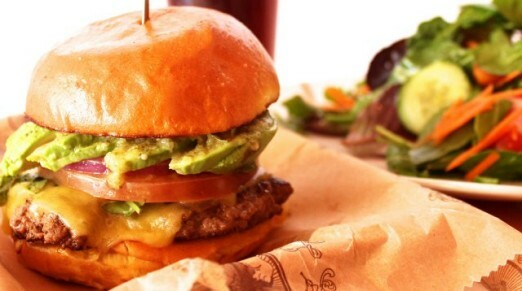 It’s pretty awesome that the now-global Bareburger started in Astoria, don’t you think? Bareburger was one of the first places I visited when I first moved here, and I just keep coming back. The endless combinations and always fresh-tasting burgers make this place an instant classic. 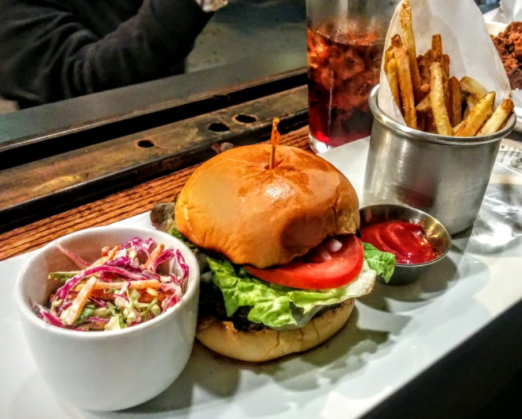 Petey’s Burger serves up thin patties, unlike any others in Astoria. I’ve heard them compared to In-N-Out, but I really think they have a personality all their own. 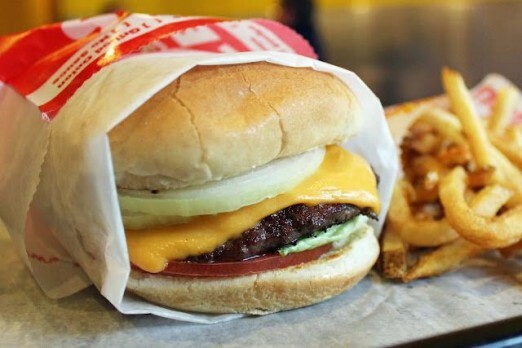 Personally, I think Petey’s is the best fast-food option in the neighborhood: nothing hip or flashy, just straight-up tasty burgers and fries. 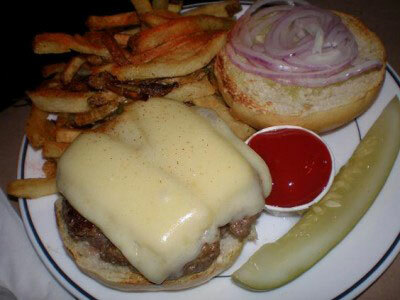 Petey’s Burger is located at 30-17 30th Ave. in Astoria. When you visit Butcher Bar, you probably aren’t thinking of burgers–let’s be honest, their spectacular BBQ is the main draw. 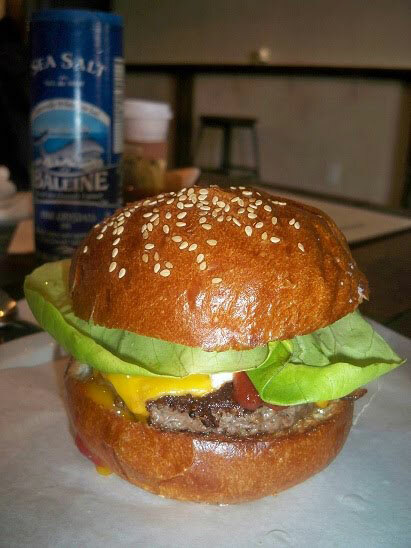 However, their burgers deserve love too, especially the Bob’s Burger, pictured above. It’s a half pounder blended with brisket and smoked bacon. What’s not to love? 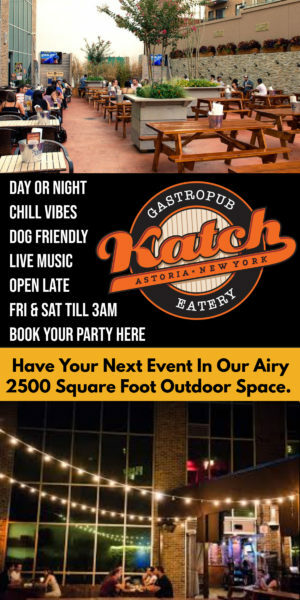 Butcher Bar is located at 37-10 30th Ave. in Astoria. Blackbird’s also serves a mash-up burger-the Q18. It’s half chop meat, half bacon, and 100% delicious. They have a variety of other burgers to choose from: beef, veggie, turkey, etc., so whatever your burger dreams may be, they have you covered. Blackbird’s is located at 41-19 30th Ave. in Astoria. 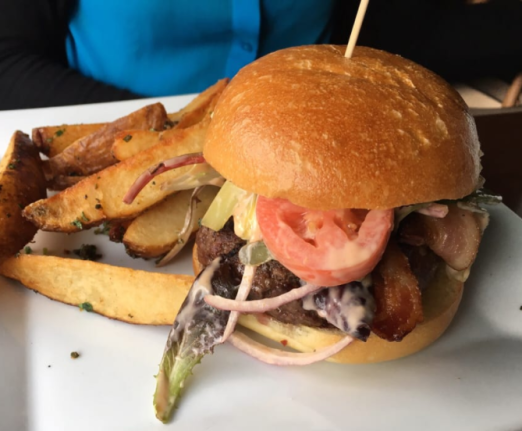 William Hallet has an excellent selection of both cheese and meat dishes, so it’s no wonder they also serve a stellar burger. The cornichon and tomato alioli really make this one stand out, but be sure to get cheese and bacon! William Hallet is located at 36-10 30th Ave. in Astoria. The Pomeory‘s simple mission of elevated comfort food really lands–their fried chicken and mac and cheese are especially to die for. And what food is more comforting than a delightful burger? Give theirs a try, as they use LaFrieda meat, a special sauce, and all your favorite fixin’s. 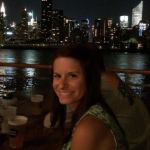 The Pomeroy is located at 36-12 Ditmars Blvd. in Astoria. Check out the burgers at Maxx, 30th Ave & 47th. The Nuremburger is downright obscene, but all of them are delicious. Bareburger is just heart burn waiting to happen. Burger Club is heart burn well deserved. 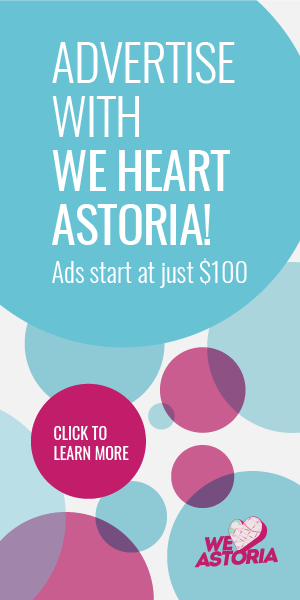 You’re missing out on the best burger in Astoria, hands down, which is understandable, because they’re a take out place, only open from like noon to 8 pm. Nosh Borough. The burgers are easily the best in Astoria, and the Mac and Cheese, “disco” fries, and biscuits with gravy are damn good too. No burger club? A glaring omission!